Mustang GT, 5.0L V8 Ti-VCT, 6-Speed Manual, 3.73 TORSEN Limited-Slip Rear Axle Ratio, Engine Turn Aluminum Finish Instrument Panel, Exterior Parking Camera Rear, Gauge Pack (Oil Pressure and Vacuum), GT Performance Package, HD Front Springs, Larger Brake Rotors, Larger Radiator, Unique Stability Control, Wheels: 18" x 8" Magnetic Painted/Machined. 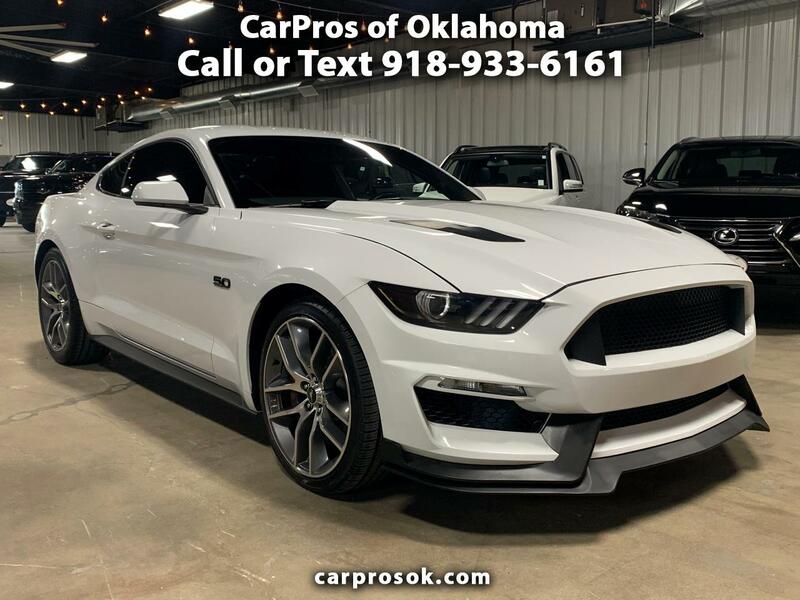 GT 2015 Ford Mustang GT 5.0L V8 Ti-VCT RWD Welcome to CarPros of Oklahoma! We are an independent Used Car Dealer with over 35 years of experience in the retail automotive industry. Our business philosophy is very simple. We deal only in premium quality used cars, trucks and SUV's that we can stand behind and be proud to offer. We have very low overhead and focus on quick turnover of our inventory.